Four of the Yankee Clipper Sea Scouts were among a group of 23 Sea Scouts and parents who turned out Saturday, June 13th, at Fisheries Supply in Seattle to earn their Washington Boater Card. The event was organized by the Chief Seattle Council Commodore Karin Leach, and conducted by Captain Tony Ford, a Yankee Clipper volunteer and trainer for the local Coast Guard Auxiliary. The Yankee Clipper’s Boatswain Jeremy and Boatswain’s Mate Liam were joined by crew members Paul and Joey along with some of the crew from the Sea Scout Ship Propeller for the all-day event. While sitting in a classroom on a sunny day is hard, it’s needed to make sure you have the boater card that will allow you to play on the water the rest of your life. And Captain Ford did a good job of making the lessons in safety interactive and interesting. 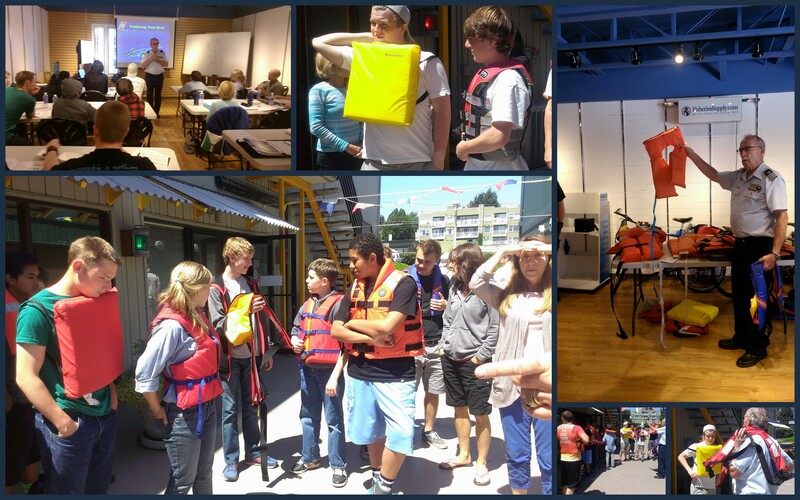 Topics ranged from navigation to fueling, boating emergencies, safety at sea and much more. When the testing finally came around, everyone passed.